In our own kitchens’ we are always looking to find and create easier ways to eat healthier and stay up to date on current research that is helpful. The Environmental Working Group is a non-profit website that has a mission to help individuals live healthier lives. Their team does the difficult detective work to find current research and education, with a goal to help consumers make better health choices with what they buy. This website is excellent. They do the work of finding out what is in your tap water, what is in certain brands of shampoo, what are GMOS, what farms and factories are in your local area and so much more. 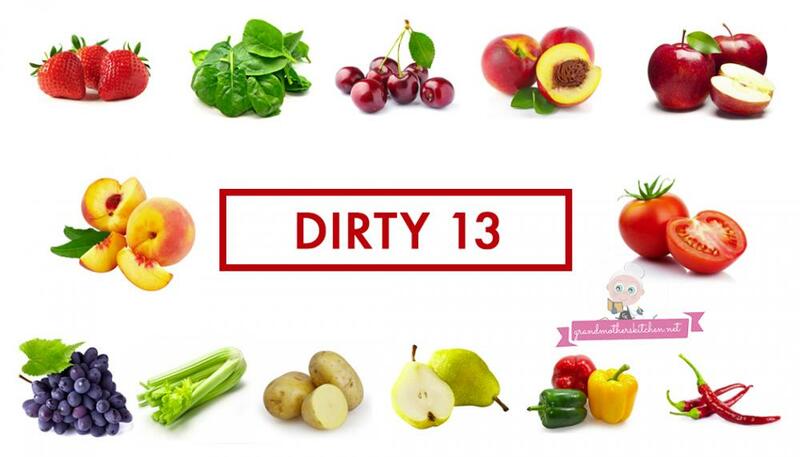 I started paying attention to this website when I was trying to find skin products that do not have chemicals that I don’t want on my skin in them. They compare product brands and give lists of what questionable chemicals are in the product and links to research that this may be I(or definitely is) a health concern. 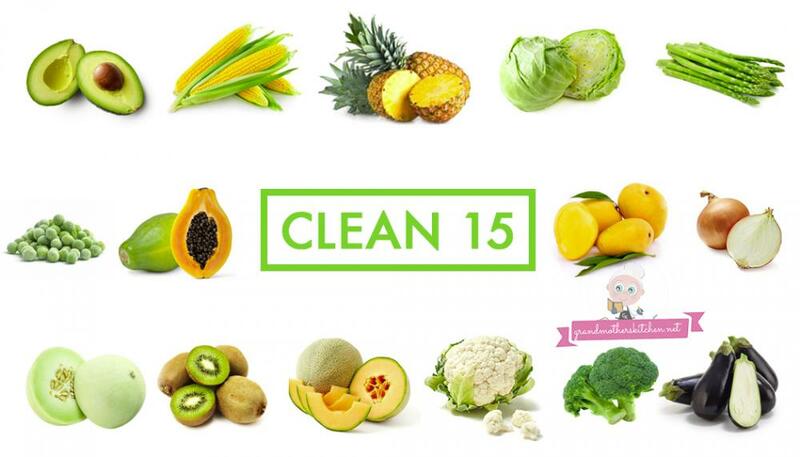 They also put out an excellent guide for pesticides that they keep up to date labeled The Clean 15 and the Dirty Dozen. If you scroll down below, we have created our own little visual shopping helpers of the information from this site that you can either print from the Print function, or else by saving the the large images below and printing them on your computer or through a local printing service. They are great for your fridge or for your wallet. You can also bookmark this article or the links to EWG to find this information easily again. Aside from the simple general and undervalued fact that pesticides are literally meant to kills species, there is also very current research being conducted that supports many of the reasons that they are perhaps not the best thing for human exposure. Some statements from current research publications related to pesticides. Definitely read more so you can make your own decisions of the evidence. 1.A 2018 study published in the a peer review journal called Environmental Research concluded that: Children living in vineyard rural areas are at a higher risk of airborne dithiocarbamates exposure during the summer period. Despite the limited size of our sample, our results suggest possible links between some pesticide measurements and respiratory and allergic symptoms such as rhinitis. Read more. 2. A 2018 study published in a peer reviewed journal called Environmental Toxicology and Pharmacology Journal states that: “Poisoning from pesticides is a global public health problem and accounts for nearly 300,000 deaths worldwide every year.” and “Pesticides have shown to be involved in the pathogenesis of Parkinson's and Alzheimer's diseases as well as various disorders of the respiratory and reproductive tracts.” Read more. 3. A 2018 study published in peer reviewed journal called Current Environmental Health Reports states their findings that: Using various instruments for exposure assessment including biomarkers, they have suggested alterations of subclinical health parameters at birth, increased risk of otitis at age 2, and increased risk of several types of childhood cancer.” Read more.